A Sega CD favorite returns with this astounding PSP remake. Although the Sega CD doesn't have many first-rate titles (damn you, Slam City With Scottie Pippen), the Lunar games stand out. Working Designs took good care of this franchise with two releases on the console, with a humorous writing style, engaging visuals and gameplay that keeps you glued to the TV, wondering what's going to happen next. 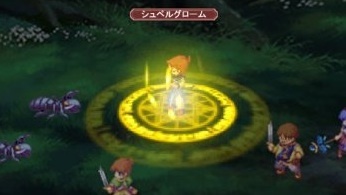 Now the series returns with a remake of the original that started it all, Lunar: Silver Star Harmony for the Sony PSP. We're happy to report that time has been kind to this game, as this is not only a superior version, but also the best entry in the series. The game is available both digitally through the PlayStation Network and as a special edition package at retail, including "bromide" collector cards and a CD soundtrack. We suggest going the retail route, because this soundtrack will blow you away. In Lunar: Silver Star Harmony, you follow a young boy who sets out to become a much-heralded Dragonmaster. Along the way, he meets up with a few friends and allies who agree to join him. The deeper you go into the game (and the more people you talk to), the better the story gets. The narrative, though, is just one part of the experience. What sets Silver Star Harmony apart is Game Arts' superb presentation. Rather than blindly porting the Sega CD game, the company went all out to touch up the visuals and in-game music. As a result, you become more involved with members of your party and the places you visit. The towns were gracefully designed, and the battle arenas make you feel the impact of each encounter. The character design is equally striking, and it's great seeing some of the familiar faces from the original game. In addition, we strongly suggest listening to the outstanding soundtrack. It's worth owning and porting over to your iPod. The voice work is also top-notch, as none of these characters sound out of place. Then there's the battle system, which hasn't grown as much as the presentation. That's not entirely a bad thing, as the simple turn-based gameplay is fun to get into. Compared to other modern-day role-playing games, however, some gamers may feel that it's outdated. But hey, if it's not broke, don't fix it. Besides, in each battle, you'll have access to your full party, so the computer won't make lame-duck decisions. That said, you'll need to be careful in later battles against stronger foes. They mean business, and if you can't keep up with them, you'll need to regroup and try again. 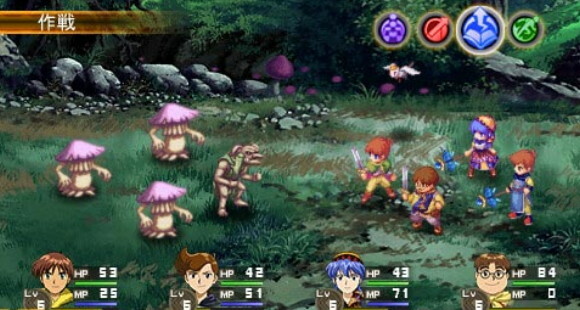 Lunar: Silver Star Harmony is a bold remake of a classic RPG that fans shouldn't miss. Its visuals are among the best we've seen on a portable system in some time, and the audio is so high quality, you'll want to keep your headphones plugged in every minute. Whether you're a fan of the original games or a newcomer discovering the series for the first time, you'll love this. What's Hot: The art style and soundtrack are the best in the Lunar series, the story will keep you intrigued, new scenes help answer questions. What's Not: Battle system shows its age, no multiplayer connectivity.